Delicious Chocolate Candy. 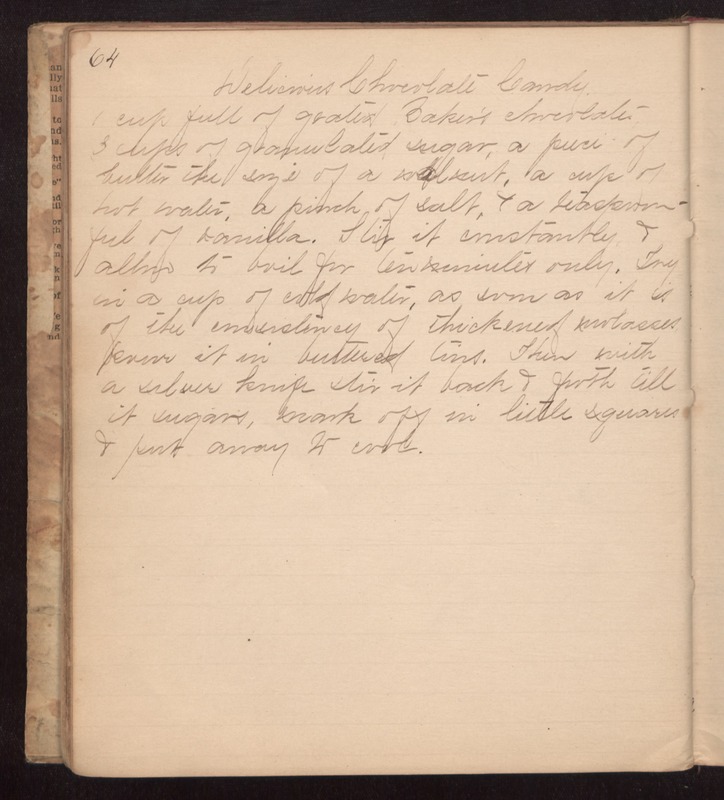 1 cup full of grated Baker's chocolate 3 cups of granulated sugar, a piece of butter the size of a walnut, a cup of hot water, a pinch of salt, & a teaspoonful of vanilla. Stir it constantly & allow to boil for ten minutes only. Fry in a cup of cold water, as soon as it is of the consistincy of thickened molasses pour it in buttered tins. Then with a silver knife stir it back & forth till it sugars, mark off in little squares & put away to cool.